For a decade now, zZz has been building excitement in home country Holland, and far beyond. Their third LP is a self-proclaimed ‘Juggernaut’. An apt title, especially if you flip to side two. Playing just keys and drums, zZz is quite an usual sight: Daan Schinkel pounding away on his organ and synths, and Bjorn Ottenheim keeping a sturdy beat and singing fuzzed-out lines. Recorded on a converted houseboat and launched in 2005, debut album ‘The Sound of zZz’ contained one of my favourite Dutch rock songs … ever: Lucy. Let’s cut to the chase: if you’re into deep or poetic lyrics, ‘Juggernaut’ is not for you. But it’s clear zZz is not after a Pulitzer Prize. They deal excitement. They want your heart to bounce out of your chest and your eardrums to keep trembling when the music’s over. zZz’s style may be wild, but it’s not flat. Which is largely down to Schinkel’s swirling keyboards. The first thing that hits me on album-opening track Blood, is Ottenheim’s vocal eruption and the immediate reaction of drums and synths. It makes me think of Silver Machine, an unlikely hit for Hawkwind in 1972. Did anyone mention the word juggernaut? 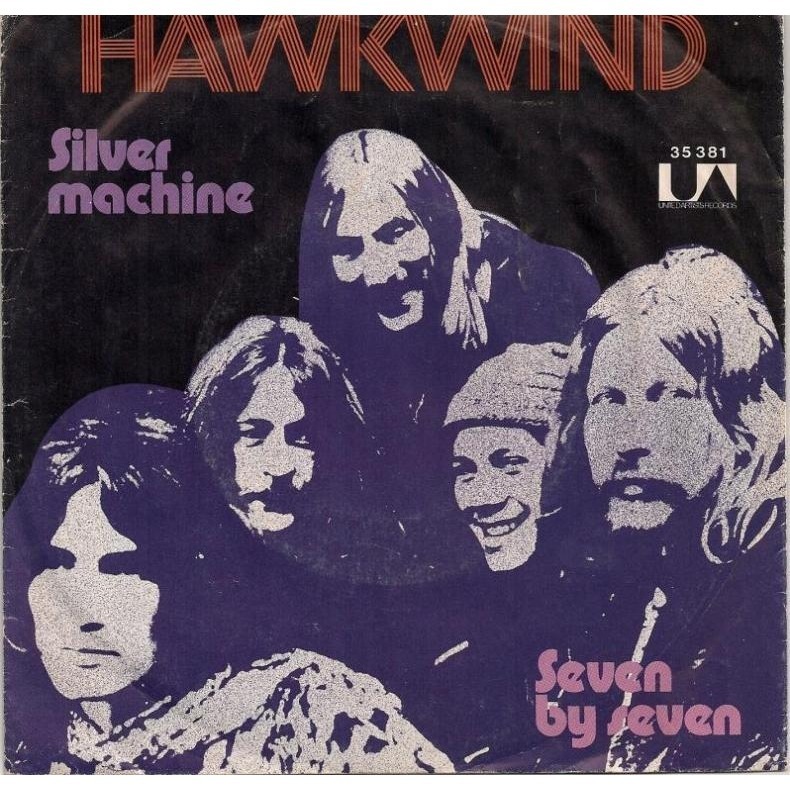 Hawkwind – Silver Machine (1972): an inspiration for zZz? zZz’s style may be wild, but it’s not flat. Which is largely down to Schinkel’s swirling keyboards. ‘Juggernaut’ rolls on in a variety of moods: punky (My Girl), slow-burning (Dead End), moving (Doze) and voiceless (Red Beat). The latter a pastische of late seventies, drum computer-fed electronic music. It sounds as if the album’s end is near, but the real Juggernaut is yet to come: a sidelong, trance-inducing slice of neokraut. Considering the shorter songs on ‘Juggernaut’ are not too bizarre, the title track signals a radical change of direction. Luckily, the piece does not stumble forward aimlessly: its teasing intro and subtle waves of intensity are arresting enough to keep you from feeling completely numb. A bit of a mixed bag, ‘Juggernaut’ is a more than decent record – and a worthy addition to the discography of excellent Dutch rock label Excelsior Records. It’s striking how zZz carves out its own path. In these times of hot air, ‘Juggernaut’ is refreshingly welcome.